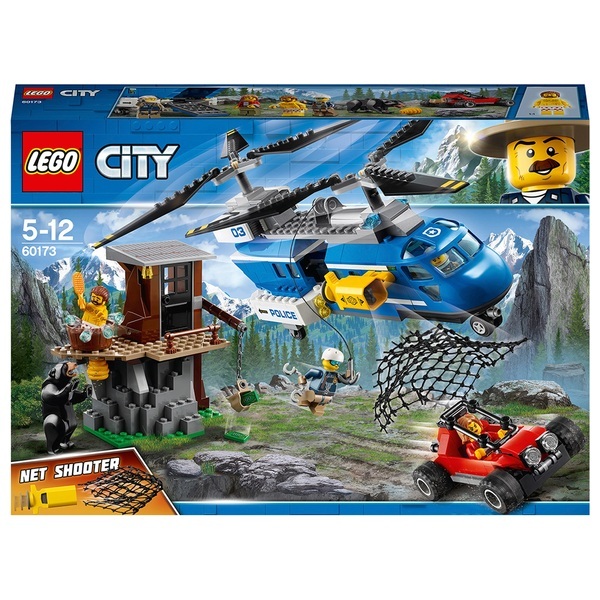 Fly in and surprise the crooks at their hideout with this LEGO City Mountain Arrest 60173!Look, there in that opening. Is that a crook… in the tub?! Load the net launcher while you hover over the hideout and your partner rappels down beside the surprised crook. Go a bit lower and aim the net at the other crook trying to escape in the buggy. Oh no, watch out for that hungry bear looking for honey!